A large audience listened attentively to an exceedingly interesting talk given by Frank Green the NFNPA archaeologist, with the intriguing title, ‘The Archaeology of Churches, Churchyards and Corpses’. 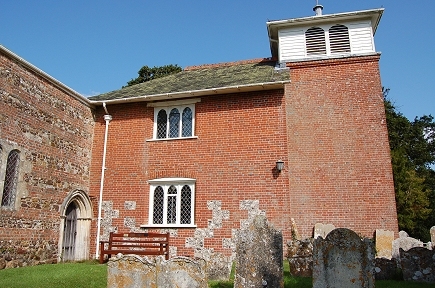 Looking back to the earliest days of Christendom and suggesting that Christianity came to Hampshire as late as AD 620-30, the speaker considered evidence adduced from Saxon churches including Breamore, Eling and Romsey Abbey followed by Romanesque church buildings introduced by the Normans and later, the transition to the Gothic, Tudor, Georgian and later church designs, all with pictorial representations. Within the talk, reference to the relationship between church and people; the development changes in liturgy, was addressed. In the case of church interiors, the talk ranged from floor tiles to the provision of bell towers and bells. Examples of many of the items discussed was given, including ‘change’ bell ringing, little known outside Britain which can be carried out with as few as five bells but many churches endeavoured to install a ‘full set’ of twelve bells to provide for a wider range of ‘change-ringing.’ The speaker did not restrict himself solely to the parish churches but considered also the development and role of cathedrals, abbeys, and minster churches and the communities which grew up around them. There is a wealth of churchyard monuments in Hampshire, yielding much social history not only of the ‘great and the good’ but also for the common man where people, interested in their own family history can use this information. Archaeological ‘digs,’ where permitted, can yield much information about both social and church history and with the assistance of modern sciences even examination of human hair from medieval interments can be very rewarding. Documentation relating to these religious buildings was not forgotten although many of these records have been lost often through deliberate destruction, particularly during the period of the Civil Wars (1642-8). Perhaps the strongest conclusions that can be taken from this well presented, comprehensively researched talk is the variety and vast wealth of information which can be gleaned directly and indirectly from these buildings (some dating from pre-conquest times) and also from the sites upon which they are located through the use of modern scientific technology.